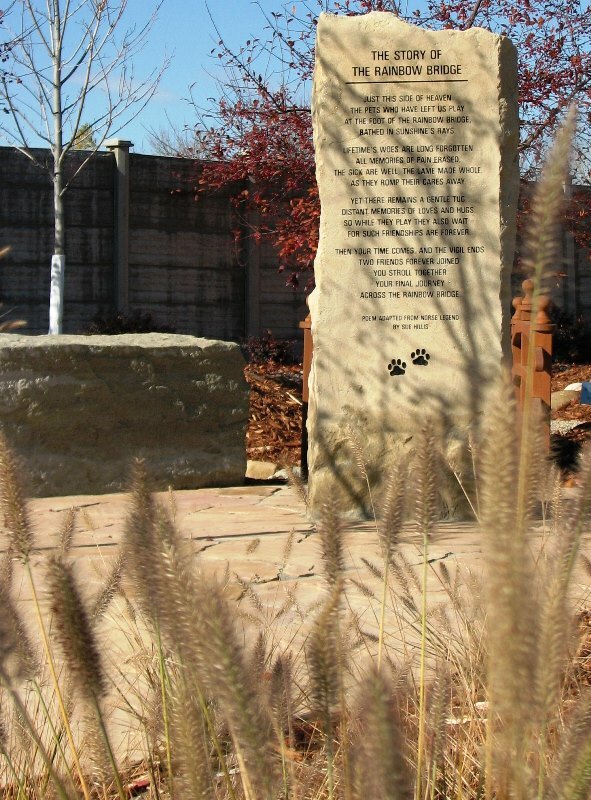 BRECKON landdesign worked directly with the client to complete a site master plan for this no-kill adoption facility in Boise. 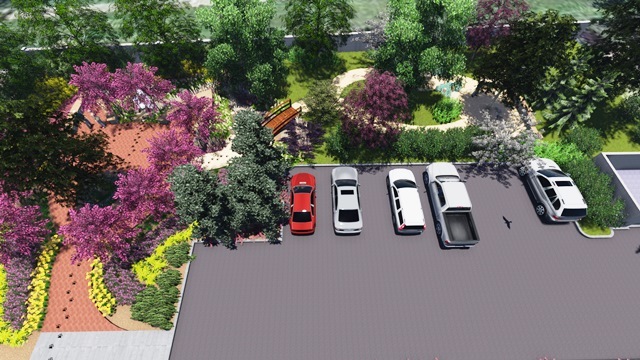 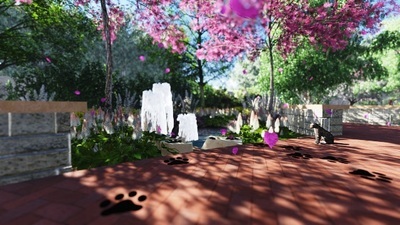 Upon completion of their new building, Simply Cats wished to develop remaining open space on the property to provide outdoor amenities for owners, pets, and patrons. 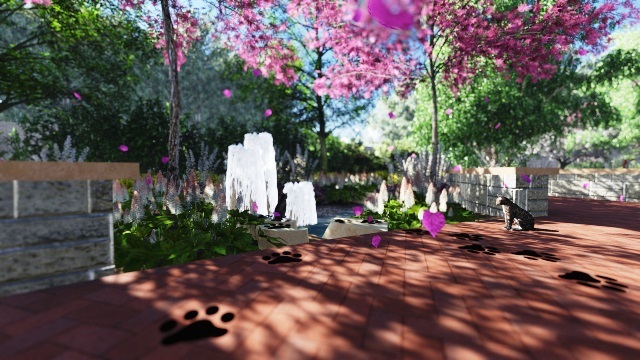 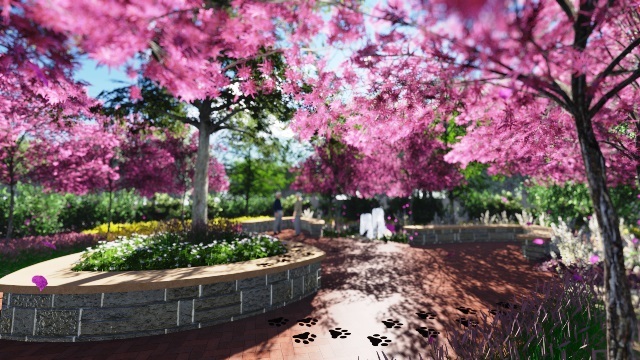 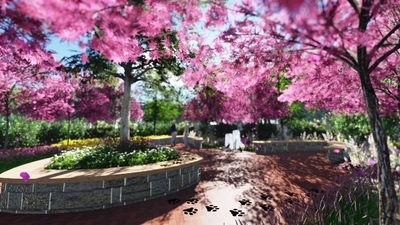 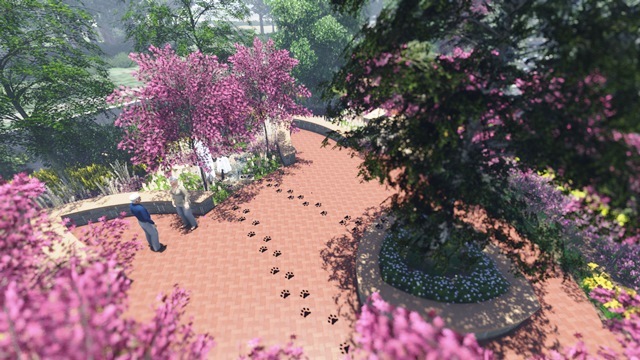 These included design of a plaza that incorporated donor bricks and engraved paw prints in pavements that led visitors through the plaza and onto a Memorial Garden for honoring pets who had passed naturally. 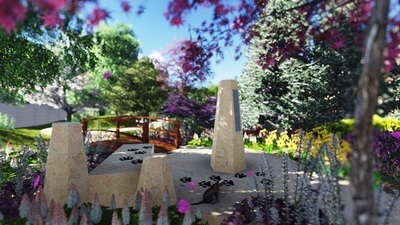 The garden featured a monument stone engraved with poetry, a symbolic bridge feature, and elegant planting design and seating elements.